If your classroom is far from a 1:1 environment (more like 1:32), it can be hard to find great technology projects that really work. If your classroom is far from a 1:1 environment (more like 1:32), it can be hard to find great technology projects that really work. Here are some simple tech tools students can use to create awesome projects. Students can work together in cooperative learning groups or independently depending on your access to technology in your school district. Bonus: They’re all free! 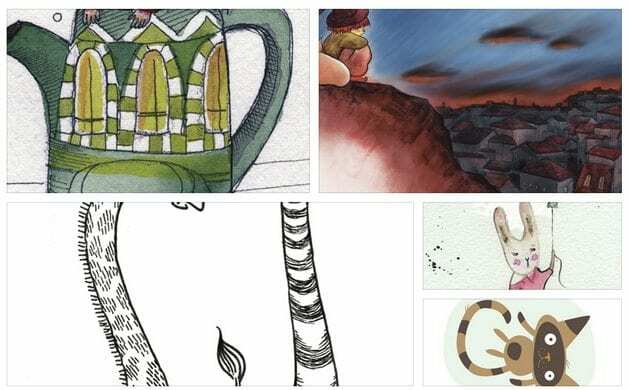 Inkle is a fun digital storytelling tool for students. Rather than having students use Microsoft Word, change things up by having them create a digital book. Students will love adding images to make their story come to life! Cooperative learning idea: Students can collaborate and create a Choose Your Own Adventure story! Each child adds a paragraph to the story and at least two options for readers to choose from. They insert images by adding the link to an image they like online. This Web 2.0 tool is free and the children’s work can be saved and shared. With Story Bird, kids can choose images and invent their very own unique story to go along with the pictures. Students must use their inference skills to depict an image. What is the character feeling? Where does the story take place (setting)? What’s the plot? It’s up to kids to decide after they carefully examine every detail of their image. There is no right or wrong answer. 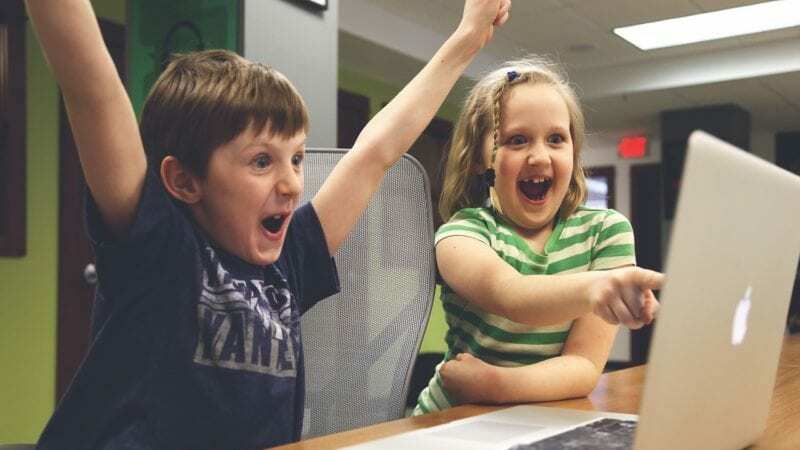 Cooperative learning idea: Have students share a computer and agree on an image. Then they go off and depict the image as they see it. The students can then compare and contrast their results. Students can create free comic strips on Bubblr using flickr creative common images. They simply search under “tag” and they’re offered a wide array of photos to choose from that all meet fair-use standards! 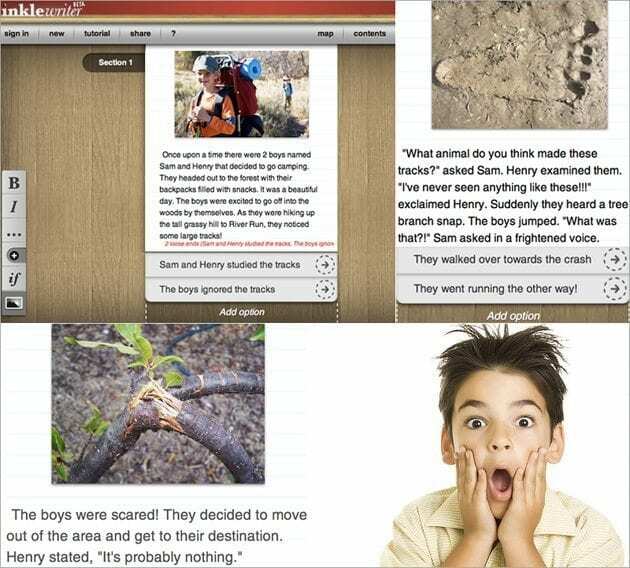 This Web 2.0 tool is great for the classroom because it’s simple to navigate and easy for young children to publish their own unique story. What child doesn’t like comics?! 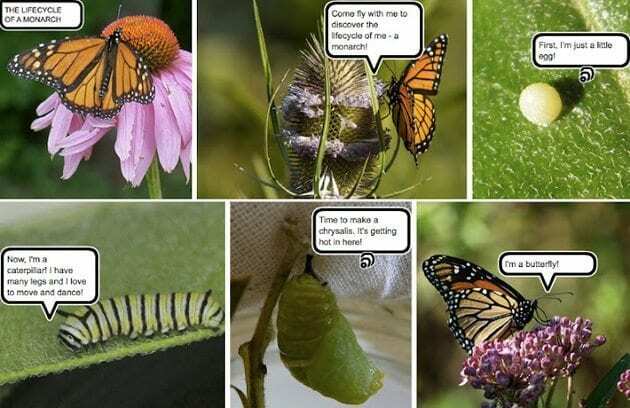 Cooperative learning idea: Students can collaborate and create a science comic strip, such as: the life cycle of a butterfly or frog, the journey of a raindrop or the transformation of matter. Cooperative learning idea: Have students work together to build a “wild self” and write a paragraph describing what their animal would eat, their animal’s habitat, exceptional characteristics and talents, as well as their unique adaptations. You could also group students into teams to create a habitat that would be suitable for all of their animals! Blabberize is a free tool that makes photos come to life! Students upload a photo, create a mouth and record whatever they would like their image to say! Cooperative learning idea: Students can take turns talking. This tool can be used to give a history or science report. Students could describe an animal’s adaptations by making the animal they researched talk! Students can create digital books, add or draw photos and insert their very own voice with Little Bird Tales! You could have each student create a page to create a class book. Click here for an example. Cooperative learning idea: Older students can work in teams and create a digital book for a presentation. This is a great project for students who don’t enjoy giving oral presentations. If students aren’t feeling inspired, have them ask the story genie! The genie randomly generates a “what if?” question for kids. The “what if?” questions are crazy and imaginative, ones kids would have a blast writing about! Hit the genie square to generate a question. Cooperative learning idea: Students can share a computer, generate a “What if?” question, then go off and write! Then they can compare and contrast their results. 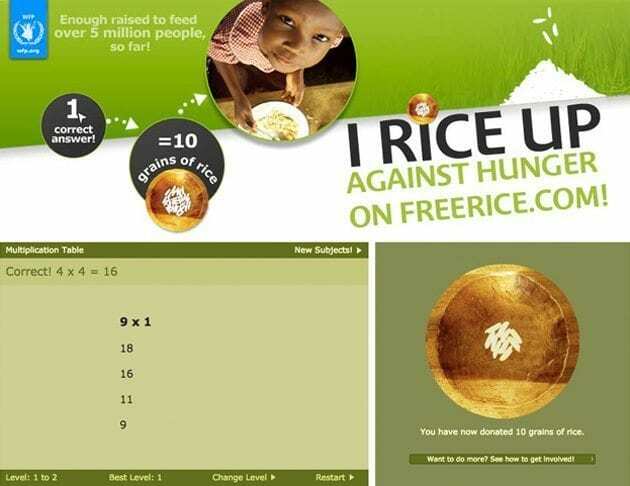 Cooperative learning idea: Students can go on Free Rice and calculate how much rice they donated as a group and create a graph to show their weekly results. This can be an ongoing project throughout the year. Groups can compare and contrast their results. A free Animoto account lets students create 30-second videos, which can be challenging! Cooperative learning idea: Have students explain something in 30 seconds through music and images. Above is an example of a water cycle video. 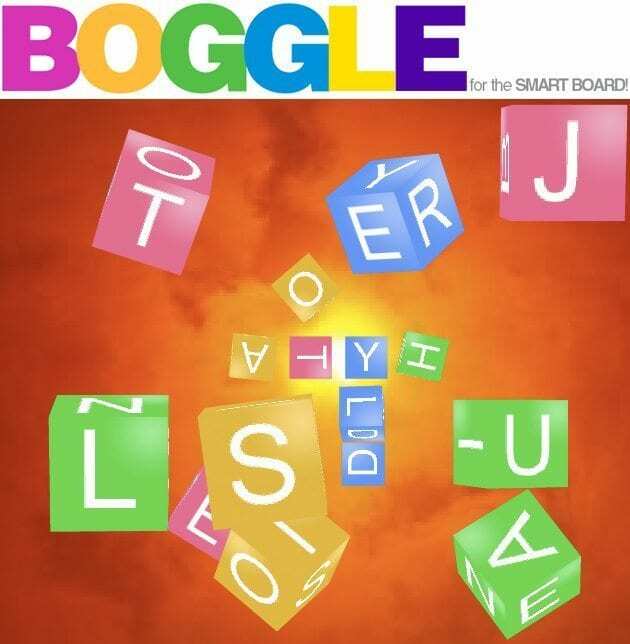 How many letters can you chain together to form a word? Point value: 3 or 4 letters = 1 point, 5 = 2 points, 6 = 3 points, 7 = 5 points, 8 or more = 11 points. Goal: Try to form as many words as you can before time runs out! Visit Teacher Led for a free letter generator! Cooperative learning idea: Have students work in teams to create words. Then as a math project, they can create fractions (words created / how many times they rolled the dice) or graphs (compare/contrast the number of words created). Erin Bittman is a designer turned teacher. Check out her blog E Is for Explore! You can also find E Is for Explore! on Facebook and Pinterest.